This program deals with what was once called the “Last Things” (in Latin: De Novissimis), that is, the realities occurring at the end of life, namely, death and dying, and those occurring in the afterlife, namely, judgment, purgatory, hell, heaven, the resurrection, and the consummation of the world. In theology, the treatment of these Last Things is called “eschatology”—a term derived from the Greek: eschata and logos, meaning discourse on the last things. There is a basic methodological question about whether and how we know these last realities, and how to talk about them. Obviously, we do know something about dying as a physical act, thanks to modern medicine. Of this we can therefore speak with empirical certainty. But of the meaning of death and above all, of what occurs after death, we do not have factual information. As a consequence, our language about them cannot be that of a scientific report but borders on poetry, and what we say about them is liable to the charge of projection and mythmaking. The program investigates two basic issues: (1) What happens to a person when she or he dies? (2) Is there something that can be called “Eternal Life”? The perspectives from which these two questions are examined are those of world religions, with a special attention to Christianity. Among the many issues considered are: death as “separation of body and soul,” death as the peak of human freedom, death as the end of the earthly pilgrimage, immortality of the soul, rituals of dying and burial, reincarnation, the death and resurrection of Jesus (the Paschal Mystery), purgatory, hell, heaven, the resurrection of the dead, the end of the world and the virtue of hope. Two things are to be noted: First, the program highlights the tentative nature of the reflections presented and invites further explorations. Second, my approach to eschatology is this-worldly, that is, it is not geared toward satisfying intellectual curiosity about the mysteries of the afterlife but to spell out the practical implications of the Last Things for our living on this Earth. That is the subtext of the title of these lectures: Living into Death, Dying into Life. Resource person: Peter C. Phan, S.T.D., PhD, D.D. is an American Catholic Theologian who is a native of Vietnam and a priest of the Roman Catholic Diocese of Dallas TX. He holds three doctorates and has been awarded honorary Doctor of Theology from Catholic Theological Union. His many writings have been translated into numerous languages. He is general editor of a multi-volume series entitled Theology in Global Perspective (Orbis, 2009). His writings have received many awards from learned societies. He is the founding director of the PhD program in Theology and Religious Studies at Georgetown University (2005). 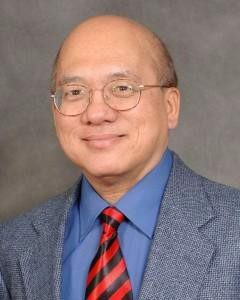 Dr. Phan presently holds the Ignacio Ellacuria SJ Chair of Catholic Thought, Department of Theology at Georgetown University. (The Catholic Bible Personal Study Bible is strongly recommended for each participant to bring, but other translations are acceptable).